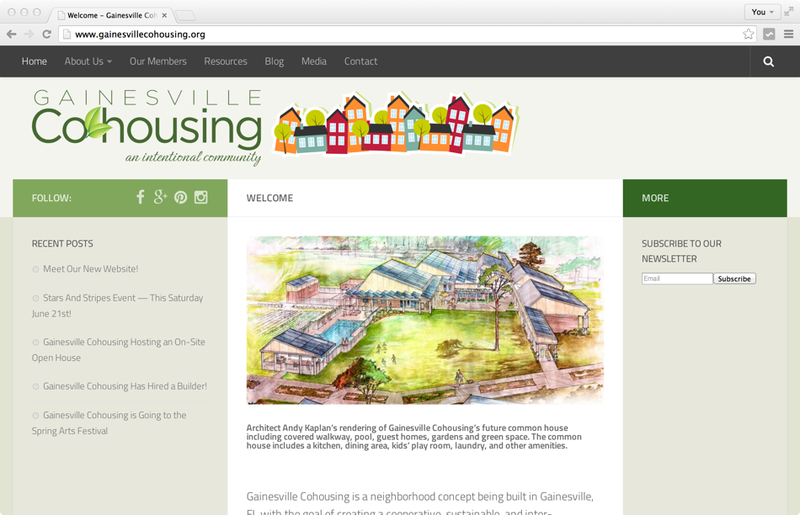 I did a refresh and SEO update for GainesvilleCohousing.org, an intentional community in Gainesville, Florida. The site is responsive, and displays well on computers, tablets and phones. I updated their commenting system to use Facebook and Google+, and did an SEO evaluation as well. © 2019 engine room web All Rights Reserved.